but still managed to catch something! 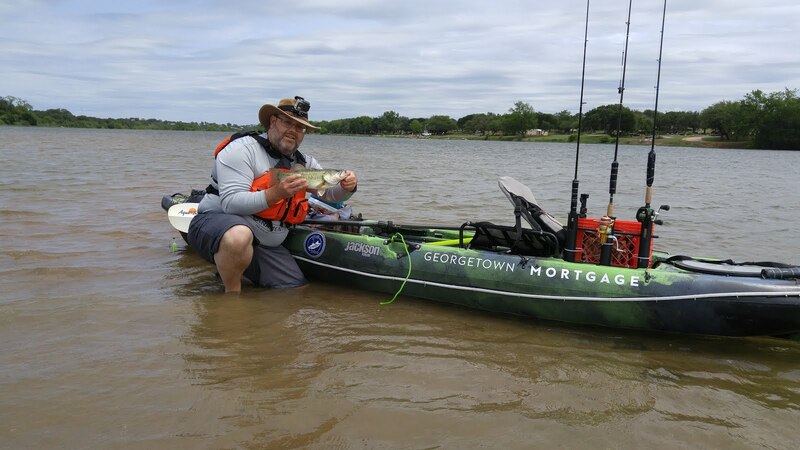 Fishing can be a very easy past time. You put a lure on your line and throw it in the water. For many fishing means putting a bobber and a worm on your line, throwing it in the water and waiting. This is nice for that person who needs a stress reliever and is tired from working hard. For those of us who work hard at sitting in an office chair, we need something more physically challenging. Enter the sport of catching fish. This concept takes fishing to a completely different level that requires us to use our brains and try our best to outsmart a fish. In this multi-piece article I will share with you some of the ways I find fish. If you are an armchair-fisherman and you want to take your game to the next level, the info here should help you do just that. Holding our new goTenna's in our 5th wheel. Lately I've been talking a lot more about our RV lifestyle and less about fishing. 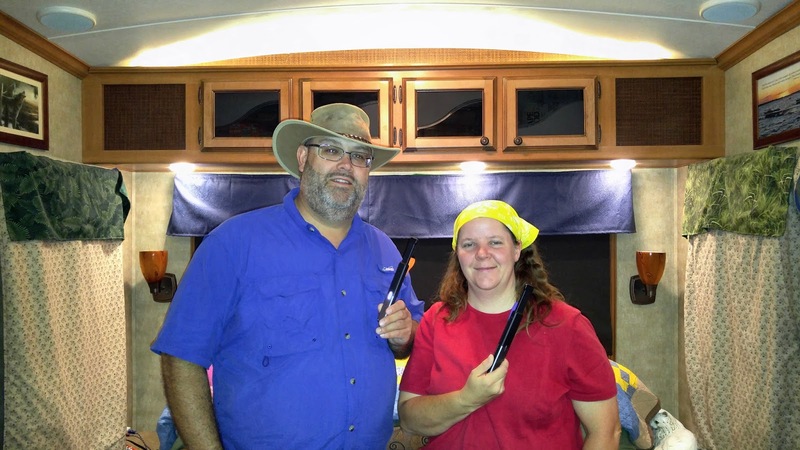 This is mainly because RVing and fishing are becoming closely tied together for us. As we are now promoting RV Fishing Sites, we are attempting to visit as many RV campgrounds where there is good fishing. On this blog we will be alternating between RVing and Fishing but I also realize that I am due to write a fishing article. The next one will be about fishing... I promise! We are ready for a new RV. It's only been 2 years since we got this one, and we really like the layout for the most part, but there are very specific reasons why we want a new RV. About 10 or 12 specific reasons... or maybe more by now.